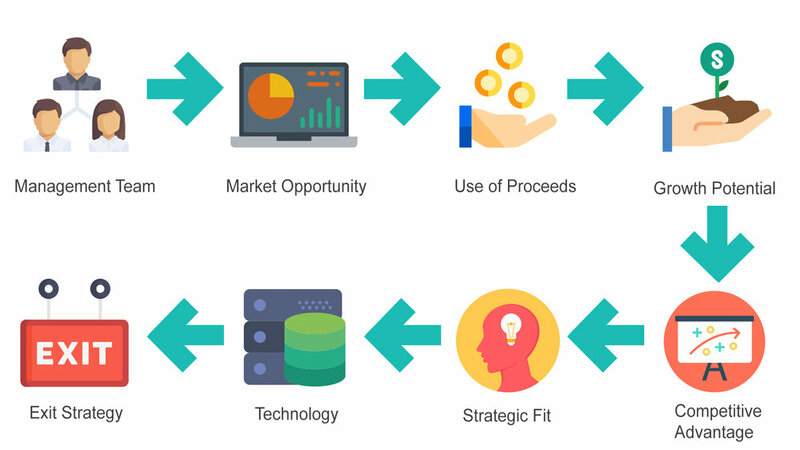 While the dynamics of each investment will vary, Cambridge Angels typically evaluate early-stage investment opportunities according to the following broad criteria. We look for teams with great entrepreneurial potential as shown by your prior business, academic or entrepreneurial ventures. We also look at your team’s passion for and commitment to the new business idea, and your ability to inspire confidence among future stakeholders, including employees, potential customers, and investors. As we will be working together as partners, your team’s credibility is essential. In addition, your team must be open to and comfortable with receiving input provided by angel investors. We invest in solutions that address major problems for significantly large target markets (i.e. a market size of £100m+). Your company must demonstrate a strategy to claim significant market share or revenue. There are plenty of great business ideas - but not all businesses will generate returns that justify angel investor funding. Your company must have some proprietary features that distinguish you from potential competitors or provide barriers to entry that prevent other companies from capturing your customers with a similar offering. Attributes that convey competitive advantage include intellectual property protection, key know-how, and scarce human resources (i.e. knowledge and skills). The Members of Cambridge Angels have significant executive experience in a variety of fields. One of the benefits of working with angel investors is the active coaching and contact network that such investors can provide. As such, there must be a fit between our Members and your team and idea. We prefer to invest in first-of-a-kind new ideas, rather than incremental enhancements to common products and services. Is this a nice-to-have, or a need-to-have product or service? However, we approach highly complex, esoteric technologies with caution. The concept behind the technology must be proven and verifiable. Further, we avoid science projects that don’t demonstrate a clear path to commercialization. Our Members typically seek returns of at least ten times their initial investment, within seven years. This level of return on investment is essential due to the high risk and likelihood of failure among early stage ventures. Thus, a clearly articulated exit strategy - how angel investors will gain such returns - is essential. For example, do you plan to sell the company to an established corporation in your industry? Or will your exit be through subsequent rounds of financing - venture capital or the public markets? Angel investors are not just interested in the strategy you select, but more importantly in the how - the operational strategy that shows specific steps you will take to achieve the exit.